Cape Town – With vote counting having started at Nasrec in Johannesburg, the winner of the ANC leadership contest is expected to be announced later on Monday. Fin24 earlier asked readers on Twitter and Facebook who they think would emerge as winner. 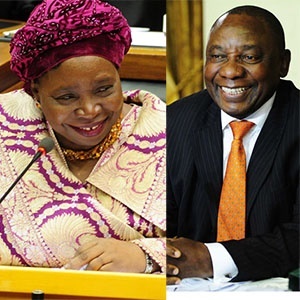 More than 60% said Deputy president Cyril Ramaphosa was most likely to win, while only 7% said former African Union chairperson Dr Nkosazana Dlamini-Zuma would emerge victorious. Some 41% indicated that it was difficult to say, while 17% said they didn’t care who won. Ramaphosa was also the bookies favourite to take the top ANC post. The online betting website sportingbet.co.za was on Saturday offering odds of 1.75 if Ramaphosa managed to clinch the top spot, and odds of 3.2 for Dlamini-Zuma. Our Facebook users strongly supported the deputy president, see some of the comments below. With counting of votes currently underway, you can still vote and let us know who you think will become the next ANC president, and likely the president of the country if the ANC wins the 2019 General Election. Vote on our social media platforms Twitter and Facebook.